Biscayne Bay provided the 711 sailors from 64 nations with a welcome breeze for Wednesday's racing at Sailing World Cup Miami presented by Sunbrella. 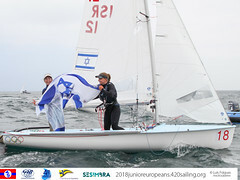 Following two challenging days of racing a breeze, albeit light in between 6-10 knots, sustained throughout the day enabling the ten Olympic and two Paralympic events to complete their scheduled races. Today wasn't up to the standard of the previous two for the Brazilian duo of Fernanda Oliveira/Ana Luiza Barbachan in the 470 Women, but a strong finish in the final of three races kept them in the lead for another day. Close on their heels are Lara Vadlau/Jolanta Ogar (AUT), three points behind, and then there's a gap of five points to third, currently occupied by Shasha Chen/Haiyan Gao (CHN). Consistency has been a challenge for every team outside of the top four, which has started to stretch away from the rest of the pack. 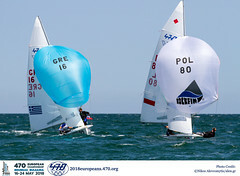 With 29 points, Sydney Bolger/Carly Shevitz (USA) are in fifth. They showcased their potential by winning today's first race, but will have to be more consistent to get on the podium. In the men's 470, we have a new leader. Onan Barreiros/Juan Curbelo Cabrera won the final two races of the day-and were able to discard an OCS from the first race of the day-and move past Stuart McNay/David Hughes (USA) into the lead. McNay/Hughes are just two points behind, and hold a seven-point cushion over third, Panagoitis Mantis/Pavlos Kagialis (GRE) and Matthias Schmid/Florian Reichstäder (AUT). 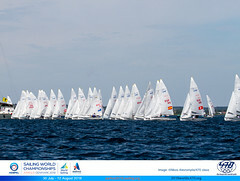 Agency news feeds will be available from Sailing World Cup Miami. VNR duration and content: 2:30 minutes agency news feed. Includes long lens shots, on board action, mounted cameras and sound on tape.